As I sit writing this newsletter the sun is shining, but there is a chill in the wind. It will soon be time to take my orange and lime trees that have enjoyed summer on the terrace down to the greenhouse to reside overwinter. We don’t get much frost here on Anglesey, but these visitors to our country are somewhat tender, so I will not take a chance with them. What did survive last year when left to its own devices was a geranium in a pot by our front door. It was not particularly sheltered and it even got snowed on but it lived to flower again! Don’t forget UV protection over the winter. UV is a significant contributor to both age related macula degeneration and cataract and we ALL therefore should be protecting our eyes from it. UV is there even when it doesn’t really seem that sunny. Transitions are an excellent lens for UV protection as it changes colour according to UV intensity. 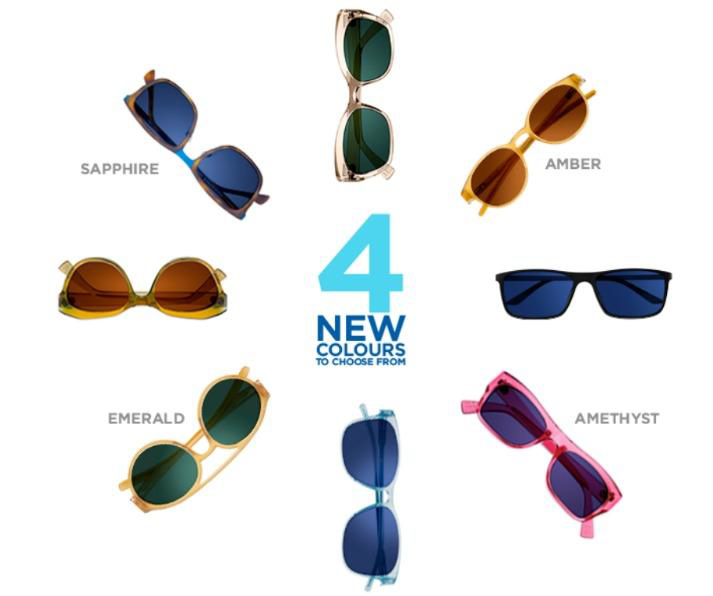 It used to only come in brown or grey but it is now available in grey/green, emerald amber, amethyst and sapphire, which can be used to complement your spectacle frame. There is even a version, Transitions Xtra Active which will go dark in your car – this had until this time been an issue as car windscreens contain UV blockers to protect the car interior. Transitions Xtra Active reacts to a slightly different wavelength which eliminates the problem.